﻿Inspired by a child to help a child; continued by a community that cares for it's children﻿. In our small and wonderful town a serious and very real problem exists. Many of our school children go hungry each weekend as families struggle to stretch their food dollars to provide food for them. “5 Loaves 4 Kids”, a local non-profit organization formed in 2007, has been created in response to this very real issue. With help from the schools’ principals, teachers, and cafeteria coordinators, over 190 critical need children have been identified who could greatly benefit from our support. These are children whose only meals for the day may be the ones they receive at school. This program will make it possible for each of these children to take home individually packaged, single serving food for the weekend. 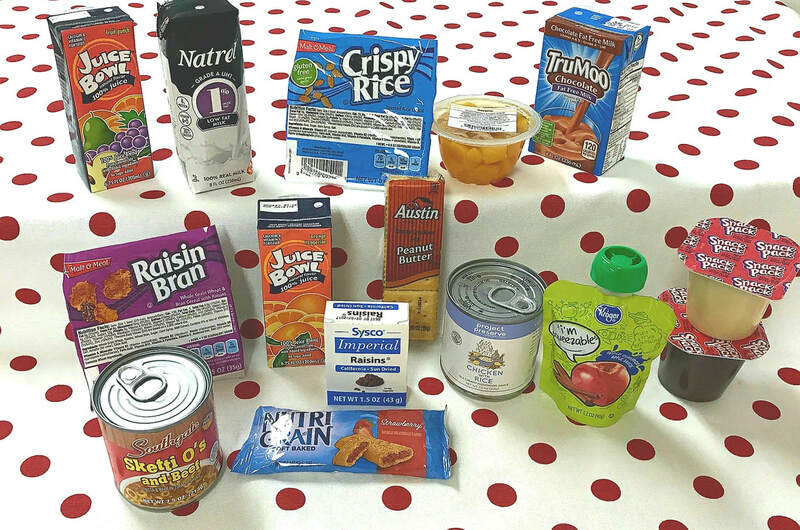 The packages of food will consist of items such as applesauce, crackers, fruit cups, beanie weenies, beef stew, cereal, raisins, and juice boxes. With the help of Second Harvest Food Bank we can feed a child for just $4.85/weekend. This is such a small amount, but yet it will have an enormous impact for these children. Children who are hungry on the weekend are not ready to learn. They keep an anxious eye on the clock counting the minutes until breakfast, snack or lunchtime. Teachers spend valuable teaching time locating a pack of crackers or a carton of milk for a hungry student. Nurses’ stations are filled with children with stomach aches simply due to hunger. Cafeteria workers witness children gouging their cheeks with food as fast as it can be consumed and stocking up from the share tables, especially on Monday's and Friday's. Physical Education teachers see children not ready to join in important fitness activities due to lack of energy from not being fueled with food. Children who have enough food are different. They are ready to focus on learning. They are eager to stretch, run, tumble, leap and play. They energetically engage in PE class. They are not worried about food. They are not stressed due to hunger. they are not cranky. They are not day dreaming. They are not experiencing stomach pains or headaches due to hunger. We will continue to work hard to raise both funds and community awareness so as to give hope to our children where weekends are filled with laughter and fun, not despair and worry. In the spring of 2007, Chandler Lawson, a teenager in Tullahoma, became aware of a program, started by an educator in a large metropolitan inner city school, that provided food to children who had little or no food on the weekends. Inspired by this story, she was determined to find out if such a need existed in our small community in Middle Tennessee. With the help of school personnel, 40 students in one elementary school were identified as being in need of such a program. As a pilot program, Chandler purchased, packed, and delivered bags of food to these children the last three weeks of school. 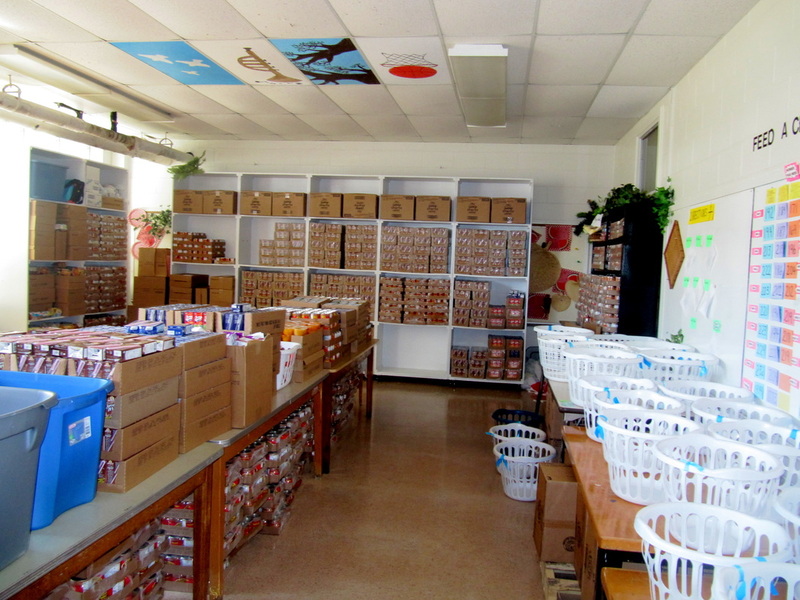 In the fall of 2007, Jan Moore, Tullahoma City Schools (TCS) Nutrition Director asked retired elementary school counselor, Jeannie Williams, to assume the task of expanding this pilot program into an established non-profit organization. The goal was to serve all critical needs children, in preschool to middle school, for the entire school year. She accepted the challenge and enlisted the help of 2 others. These three, all with a heart for the needs of children, founded 5 Loaves 4 Kids. A needs survey was completed at each school, a board of directors was formed, and funds were solicited from churches, civic organizations, businesses and individuals. Thus 5 Loaves 4 Kids was born as an official 501(c)3 non-profit organization. In response to a very real issue in our town, the community generously responded with financial and volunteer support. The first food delivery was made on October 27, 2007 to 115 critical needs children whose families struggle to stretch their food dollars.